Heading into last season, the Metropolitan Division was widely considered the most dangerous in hockey. With the Washington Capitals bringing home the Stanley Cup, the Metro now boasts the last three Stanley Cup champions. As a whole, however, the division took a dip compared to 2016-17. During that season, seven teams challenged for the playoff picture, with the New Jersey Devils holding up the rear. Many predicted that those seven teams would once again challenge, but there was a distinct drop between the five teams that made the playoffs, and the three that missed. Two of those teams that missed, the New York Rangers and New York Islanders, are on the outside looking in. For the other six teams in the division, all of them have aspirations of making the playoffs and going on a run. Will these perennial analytic darlings finally make the playoffs? 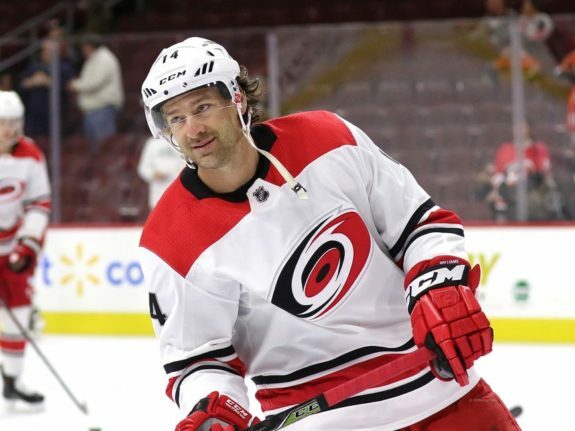 For the past couple of seasons, there has been a quiet minority out there that are bullish on the Carolina Hurricanes. It you squint and look, you can understand why this is the case. With a good cast of young forwards and an underrated defence, the Hurricanes have some nice pieces on their roster. However, they still have the NHL’s longest non-playoff streak. They have not made the postseason since 2008-09 when they bowed out against the Pittsburgh Penguins in the Conference Final. During the offseason, Carolina made some major upgrades in hopes of ending the postseason drought before it reaches double digits. The biggest upgrades came on defence, where they added Dougie Hamilton and Calvin de Haan while giving up Noah Hanifin. Rookies Andrei Svechnikov and Martin Necas could also both have an impact on the forward core. Like every season in Carolina, it comes back to the goaltending. They have the pieces to make the playoffs, but either one of Scott Darling or Petr Mrazek will have to step up and play at a league-average level, at the very least. Will the looming UFA’s become a distraction? 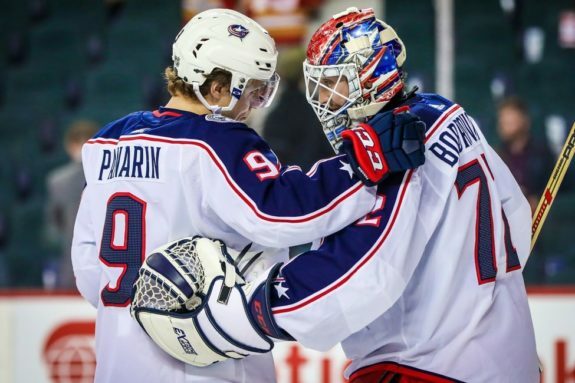 Columbus is widely regarded to be one of the most promising young teams in the NHL. They already have two of the best young defencemen in the game playing together. Pierre Luc-Dubois also started to show why he should become a number one centre in the NHL sooner rather than later. The problem with the Blue Jackets the way their currently constructed, is they could be on the brink of losing two of their best players. Rumours were making the rounds all summer regarding the status of 2016 Calder Trophy winner Artemi Panarin. Reports suggest that it’s unlikely he returns to the Blue Jackets after this season. Their other Russian superstar, Sergei Bobrovsky, is also an unrestricted free agent at the end of the season. Losing one or both of these players would leave a major hole in the Blue Jackets’ lineup. That rings especially true for Panarin, who’s been a great fit in Columbus since arriving prior to the 2016-17 season. Bobrovsky has been a rock in net for Columbus for years, although his lack of playoff success is starting to overshadow is stellar regular season play. Can they prove that last season wasn’t a mirage? Along with the Colorado Avalanche and Vegas Golden Knights, the New Jersey Devils surprised everybody with a postseason birth. While that quiet minority was heaping praise on Carolina, it was the Devils who managed to qualify for the playoffs on the back of Taylor Hall. Seriously, where would this team have finished last year without their superstar winger? The Hart Trophy winner finished the season with 93 points, with Nico Hischier being the only other Devil to crack 50 points. There has to be some concern about the secondary scoring this season, although the Devils hope that comes internally. Marcus Johansson missed the majority of last season with injuries but produced when in the lineup. The Devils will also look to Miles Wood, Jesper Bratt, Kyle Palmieri and Pavel Zacha to improve upon their production. Last season, the Devils were in the bottom half of the league for both producing and preventing scoring chances. Strong special teams play was a big factor in them making the postseason, but their five-on-five production must be better. They also need a bounce-back season from Cory Schnerder, who lost the starting job to Keith Kinkaid last season, Schneider lost 12 straight games, but returned to form with a .950 save percentage in the playoffs. 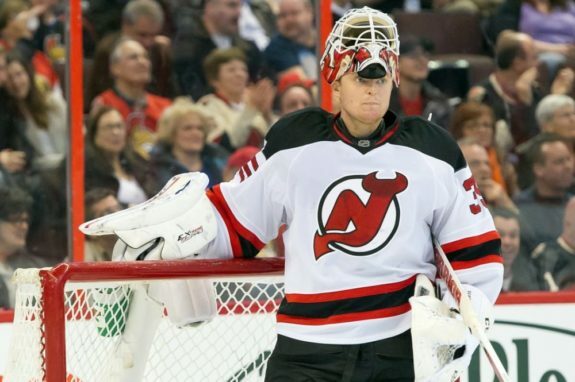 If the Devils are going to be better next season, Schneider has to be better as well. Will they rank 31st in goals against once again? The New York Islanders were, by far, the most porous defensive team last season. Part of that could be chalked up to injury and poor goaltending, but are there really signs of improvement heading into this season? Whether it was injuries or structure, the Islanders ranked last in goals against, third-last in shorthanded against, and second-last in power play goals against. Of 20 NHL players who had the most scoring chances against per 60 minutes at even-strength, ten of them were New York Islanders. 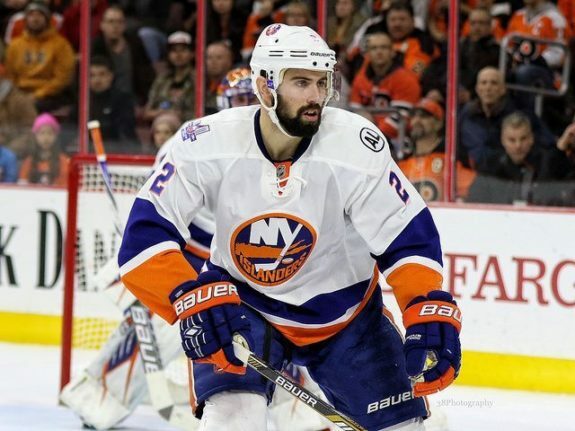 One of those was their number one defenceman Nick Leddy. Say what you will about plus/minus, but Leddy’s -42 was the worst total in the post-lockout era. Leddy was on the ice for 81 goals against at even-strength, trailing only Erik Karlsson. Good players are always on the ice for the most goals against, but Leddy’s defensive game needs to improve if the Islanders don’t want to rank last in goals against. Robin Lehner is looking to rejuvenate his career with the Islanders, and many will be rooting for him after he shared his story of perseverance over mental illness. He might be a better option to start than Thomas Greiss. The German netminder makes more money than Lehner, but had a paltry .892 save percentage last season. Who will shine through during rebuilding season? It;s abundantly clear that the New York Rangers are entering a rebuilding season. Unless Henrik Lundqvist turns in a historically productive campaign, the Rangers will miss the postseason for their second straight year. Looking up and down the lineup the way it’s currently constructed, there isn’t anyone who can ‘wow’ fans with offence. Mats Zuccarrello was the only Ranger to surpass 50 points last season. Mika Zibanejad, Kevin Hayes and Pavel Buchnevich are the returning forwards who surpassed 40 points last season, and Chris Kreider was on that pace if it wasn’t for injury. Buchnevich is really the only forward there who might break through in a bigger role, especially under new head coach Dan Quinn. Ryan Spooner is another name to watch, after he posted 16 points in 20 games after arriving in New York. The rest of the Rangers ‘young’ forwards have consistently averaged 40-50 points a season during the last four years. 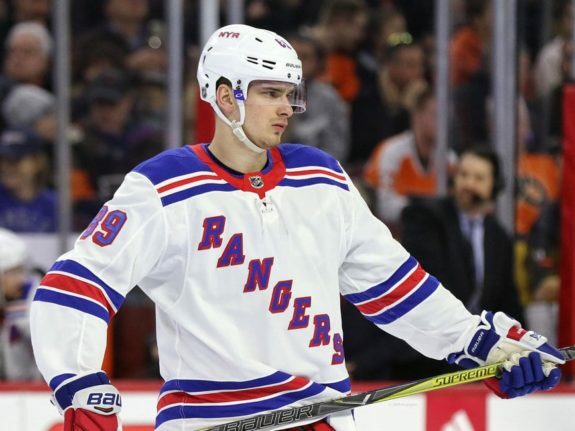 It’s clear that the Rangers lack clear first-line talent, although youngsters Lias Andersson and Filip Chytil might have something to say about that. The two 2017 first round picks got a cup of coffee in the NHL last season, and could make the big club full-time in 2018-19. How much will the goaltending improve? Up front, the Flyers aim to be a dangerous offensive team. Jakub Vorachek, Claude Giroux and Sean Couturier are always dangerous players. Wayne Simmonds is always good for 20 goals. Travis Konecny and Nolan Patrick will look to build off of strong finishes in 2017-18, and the roster only got more dangerous with James van Riemsdyk returning to Philly. This team should have no problem scoring goals, but will they be able to keep the puck out of their net? The uninspiring tandem of Brian Elliott and Michal Neuvirth returns for another season. Both goaltenders were putrid in the playoffs last season, but did show signs of being solid netminders during the regular season. At even-strength, both goaltenders were some of the league’s best. Elliott’s even strength save percentage (.926) was 21st of 68 goaltenders to play over 500 five-on-five minutes, while Neuvirth’s (.934) was ninth. However on the penalty kill, all three Flyers goaltenders (including Petr Mrazek) were bottom-ten in save percentage out of 69 goaltenders. Elliott’s .816 shorthanded save percentage ranked 65th, while Neuvirth’s .805 ranked 66th. This could be the last season before the Flyers feed their phenom goaltending prospect, Carter Hart, NHL games next season. 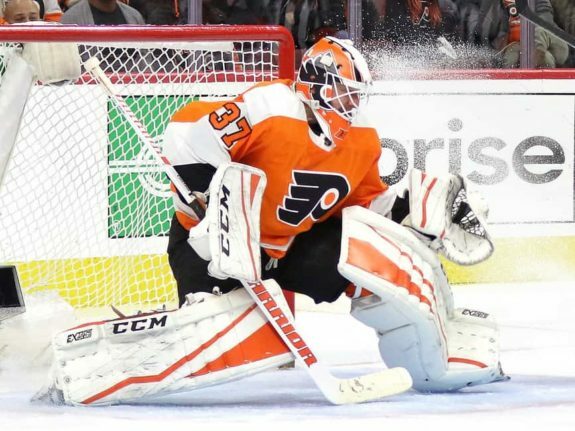 It’s also likely that they keep a veteran around to insulate him, so this goaltending battle won’t just be about improvement, but about who keeps a job in Philly during the 2019-20 season. 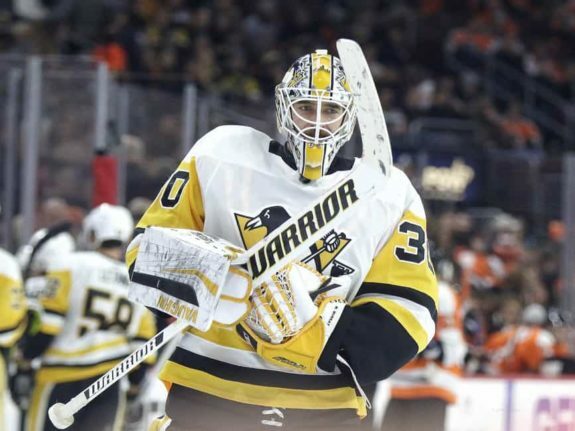 Can Matt Murray return to his Stanley Cup winning form? Expectations for Matt Murray in Pittsburgh are almost unfair. That comes with the territory for his unique situation, where he brought two Stanley Cups to Pittsburgh. After the departure of Marc-Andre Fleury, Murray was handed the keys to the Maserati but wasn’t unable to park it without some scrapes. His .907 save percentage during the regular season wasn’t what Pens fans expected from the two-time Cup champion. In the playoffs, Murray teased with a shutout in his first game. After that, he rotated from good start to bad start before the Pens were knocked out of the playoffs by Washington. The bottom line in Pittsburgh is that this team has all the pieces in place to make another run in the playoffs. The defence is average, even though they added some pieces during the offseason. Still, any team that can throw Evgeni Malkin, Sidney Crosby and Phil Kessel at you has a chance to win it all. Can they mimic their division rivals and pull off a repeat? It’s no secret that trying to repeat as Stanley Cup champions is no easy task. However, we have seen it happen recently enough. The Pittsburgh Penguins repeated as champions for the first time in nearly 20 years, before the Washington Capitals knocked them off of their perch. If anyone knows how hard it is to win the Stanley Cup, it’s Alex Ovechkin, who won his first during his 13th NHL season. After winning it all, the Caps went on one of the most legendary Stanley Cup benders of all-time. 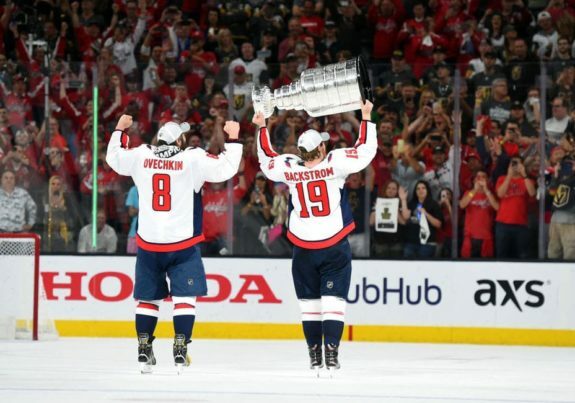 While it was a treat for any sports fan to watch, it’s stirred up questions about the Capitals suffering from a Stanley Cup hangover next season. Don’t bank on that happening. These are all professional athletes, and the Capitals are largely bringing back the same roster that they won it all with. They have one of the league’s best snipers, two of the best centres, great forward depth, a bonafide number one defenceman in John Carlson, a and underrated defensive duo with Matt Niskanen and Dmitri Orlov. They also have Braden Holtby, who rebounded from a poor regular season with solid numbers in the playoffs. It won’t be easy, but the Capitals should be hungry for a repeat.